Implicit schemes are a popular approach to the discretization of linear partial differential equations by finite differences. They require to solve a set of linear equations in each time step. Since finite difference discretizations lead to a local coupling, these systems of equations are sparse and can be effectively solved by iterative methods. Numerical procedures of this type are known in control theory as repetitive processes. They have mostly been used to solve problems in control like processes where passes of finite length are repeated over and over. 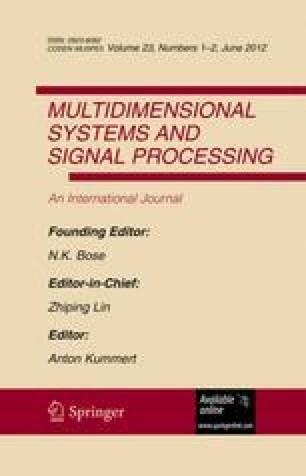 This paper shows how the implicit discretization of partial differential equations can be cast into the framework of repetitive processes. Thus it establishes a link between yet unrelated results in numerical mathematics and control theory.